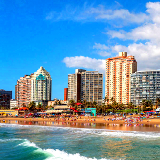 Port Elizabeth, affectionately known as the ‘Friendly City’, lazes beneath balmy African skies, waiting to captive you with its pristine beaches and charm you with its easy-going cosmopolitan energy. With over 900,000 residents, it is the 5th largest city in South Africa. Attractions include the Kragga Kamma Game Park, Nelson Mandela Metropolitan Art Museum, and King’s Beach. Spend your holiday stretching out on velveteen beaches and witness the thrumming soul of the Eastern Cape with cheap flights to Port Elizabeth. Port Elizabeth is home to Port Elizabeth International Airport (PLZ), which is a 45-minute drive from the city centre. Port Elizabeth is famous for its magnificent teal and buttermilk coastline. King’s Beach, Humewood, and Hobie Beach boast Blue Flag status, while Wells Estate is much quieter, but equally picturesque. 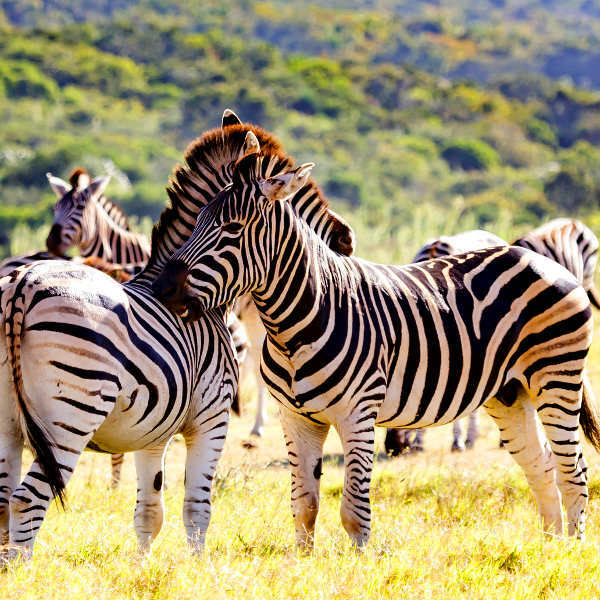 Kragga Kamma Game Park is a sanctuary for rhinos, giraffes, wildebeest, ostriches and antelope, while the nearby Addo Elephant National Park is a haven for a majestic population of elephants. The city is finally shedding its lacklustre image and burgeoning into a culinary wonderland. 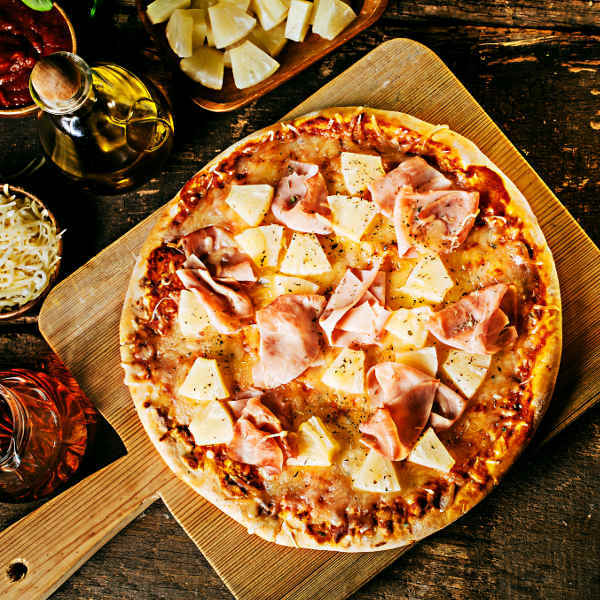 Lively eateries and trendy restaurants are offering everything from seafood and sushi, to Mediterranean and Italian. 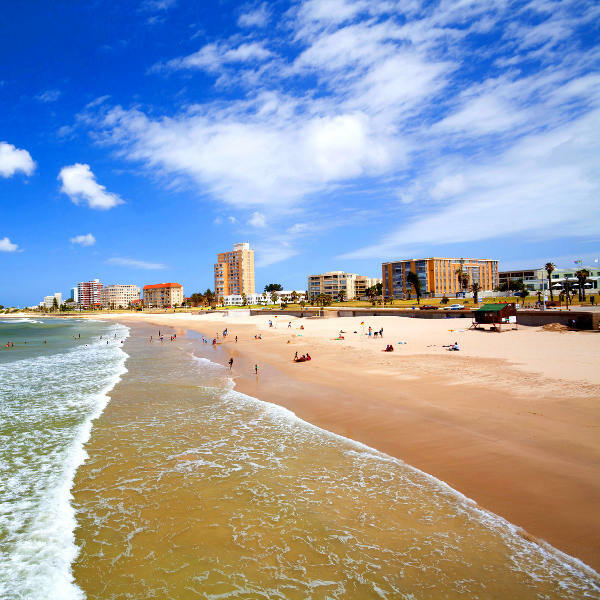 Port Elizabeth experiences a subtropical climate, with hot, slightly humid summers and crisp to cold winters. Average temperatures range from 25 degrees Celsius in summer to 9 degrees Celsius in winter. Rainfall is moderate throughout the year, and particularly heavy during winter (June to August). Summer (December to February) is the best time to visit if you want to make the most of the balmy weather and sun-kissed beaches, and feel the city bristle with energy. However, the weather is pleasant throughout the year, making it a great year-round holiday destination. For cheap flights to Port Elizabeth, the best time to visit is during winter. 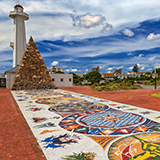 Port Elizabeth is a city that knows how to dazzle and charm its visitors. Its coastline is an idyllic tapestry of warm teal ocean lapping gently against beaches coated in buttermilk-hued sand. King’s, Humewood, and Hobie beaches boast Blue Flag status, a prestigious global accolade. 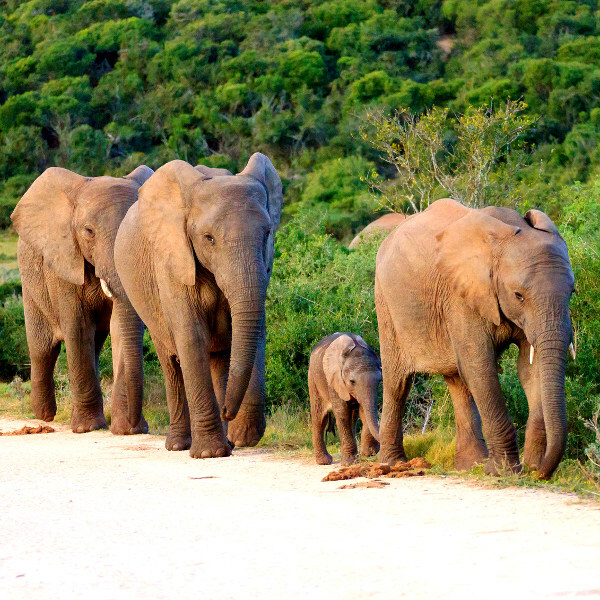 Kragga Kamma Game Park and the nearby Addo Elephant National Park offer unforgettable encounters with some of the most iconic creatures in Africa. Rhinos traverse the wild greens of Kragga Kamma, while cheetahs laze on rocks. Port Elizabeth also offers some of the best dolphin, whale, and penguin watching in South Africa. Attractions such as the Donkin Heritage Trail, South End Museum, and Red Location Museum offer a mesmerising glimpse into the history of the city and country. With its dreamy landscapes, carefree magnetism, scintillating nightlife, and blossoming food scene, Port Elizabeth is trapping travellers under its enchanting spell. Whatever your expectations may be, Port Elizabeth will sneak into your heart and enrapture your mind. It’s just that kind of place. Compare several airlines, and book your cheap flights to Port Elizabeth online at Travelstart! Dubbed the ‘Friendly City’, Port Elizabeth is a warm and inviting city and holiday town along the wildly gorgeous eastern coasts of South Africa. And while it is considered a safe city, crime does happen. Therefore, it is recommended that you take certain precautions and use common sense as you would in any unfamiliar city. Remain vigilant and aware of your surroundings at all times. Avoid flashy displays of wealth and carrying large sums of cash, valuables and important documents, as pick-pocketing does happen. Keep car doors locked while driving (particularly at night). Avoid isolated areas during the day, and straying away from populated areas at night. Accommodation in Port Elizabeth is varied and available in abundance in Port Elizabeth Central and the surrounding areas of Walmer and Newton Park, and in Summerstrand. For high-end luxury, elegant boutique hotels and spa resorts can be found along the coast, each offering magnificent views and exceptional services. For mid-range accommodation, warm guest houses, peaceful bed-and-breakfasts, and beautiful lodges are bursting at the seams with warm hospitality and friendly staff. Holiday apartments and inns are available for those on a budget. There is something for every type of traveller and budget in Port Elizabeth. Public transport is the easiest, and most affordable way to get around Port Elizabeth. Buses, metered taxis, car rental, and trains are available throughout the city. Metered taxis are reliable and affordable for short distance trips. Hotels should be able to organise pick-ups. For longer distances, a number of car rental agencies are available. Metrorail is the public train system, while Shosholoza Meyl offers sophisticated rail travel to surrounding cities and provinces. Public buses follow several routes throughout the city. Bus stops are scattered throughout the city. Port Elizabeth is also on the Baz Bus route. Fares vary according to journey length.